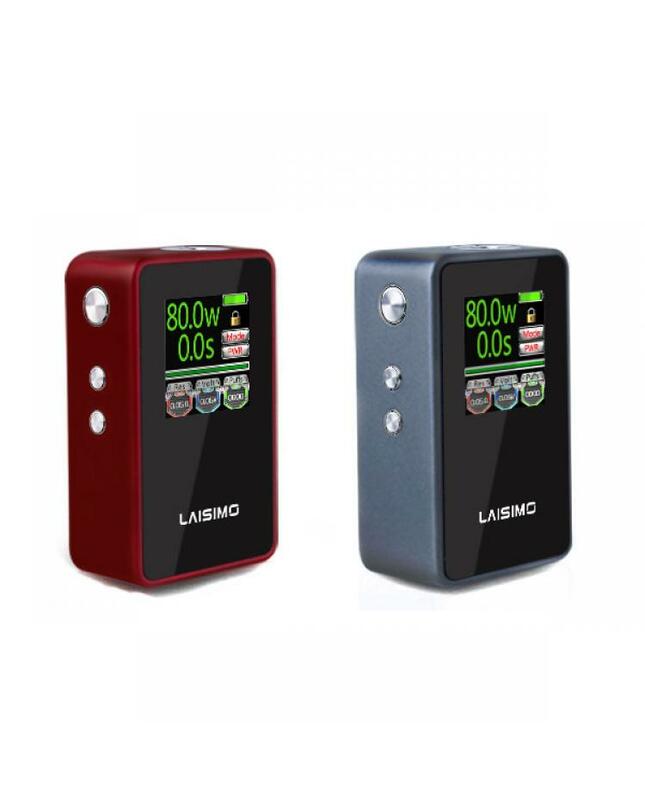 Laisimo V80 is the newest colorful screen temp control box mod, built-in 1.3inch big colorful screen, easy to adjust the vaping setting and show you the vaping data clearly, displays all main information, include output wattage, output voltage, atomizer resistance, real-time temperature, and battery life. 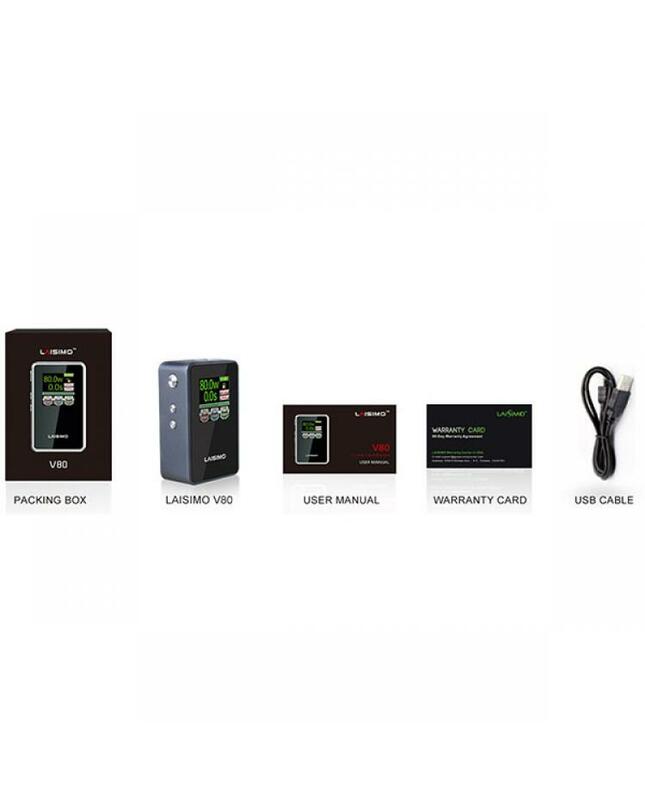 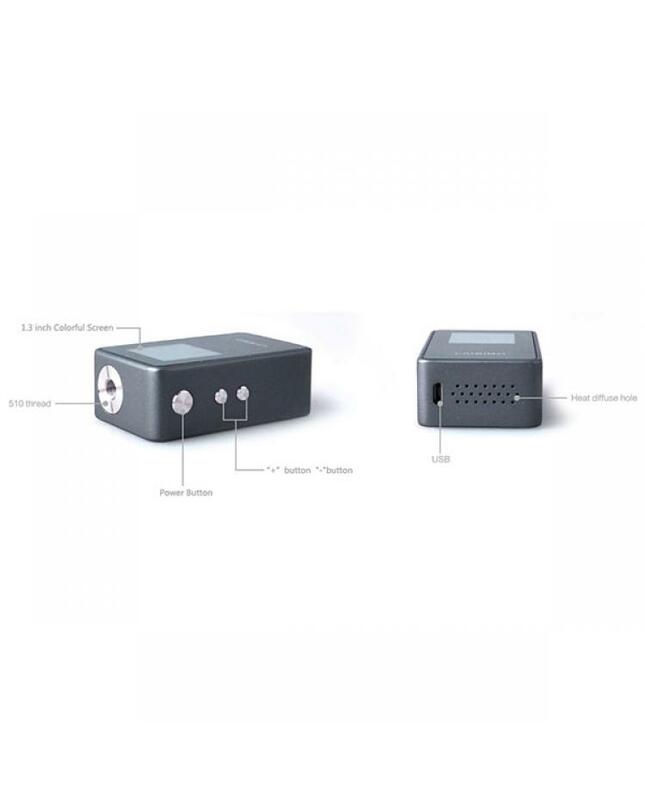 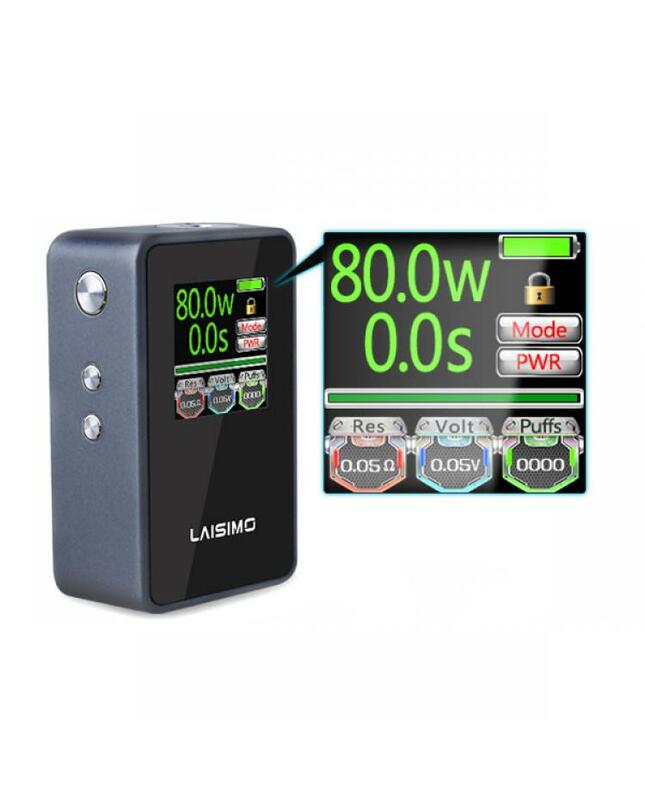 the new laisimo mod max output 80watts, support resistance as low as 0.05ohm under temp control mode, support regular Kanthal, NI200, TI, SS vape wires and support the DIY wires, the v80 mod built-in 2600mah battery, can charge it via the micro USB port easily. 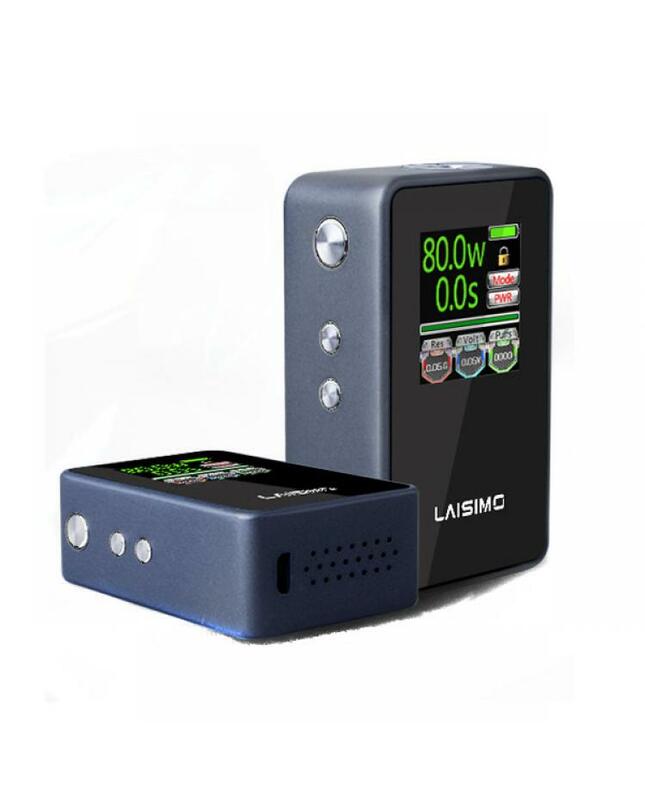 this compact and fashionable temp control mod will be your good option, recommend works with baby TFV8, geekvape tanks, and joyetech tanks.